About Us - Cabling Systems, Inc.
For 15 years, Cabling Systems, Inc has been providing tailored solutions to sophisticated cabling infrastructure systems of complex construction projects across the country. Specializing in a full array of low voltage cabling services – CSI designs, builds and maintains dependable and high-performance cabling infrastructures in the sectors of Government, Education, Financial Institutions, Commercial Real Estate, Hospitality, Healthcare, and Data Centers. Headquartered in the Maryland, Northern Virginia, and Washington, D.C. metropolitan areas, Cabling Systems is a premier low voltage cabling contractor for mission-critical environments in the Mid Atlantic. CSI also provides services for clients Nationwide, maintaining the experience and expertise to deliver superior results with a competitive advantage. Cabling Systems prides itself on hiring and retaining experienced, capable and reliable employees for both its field and home office operations. 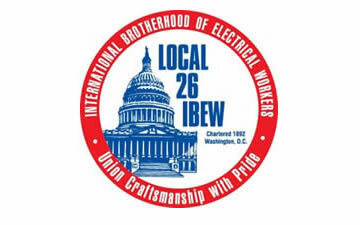 Through IBEW Local Union #26, CSI employs qualified BICSI certified technicians, Project Managers, and Registered Communications Distribution Designers (RCDD’s). All field technicians obtain BICSI certification, undergoing a nationally recognized 3-year apprenticeship programs. Cabling Systems is a leader in safety in the industry. The complexity of our projects makes safety the top priority of every one of our craftsmen. Our safety programs and initiatives have created a motivated safety culture based on extensive training, inspection, and discipline. Occupational Safety and Health Administration (OSHA) training is the cornerstone of our program. With a qualified, in-house Safety Director to oversee our safety initiatives, all field technicians are required to receive at least 10 hours of formal training, and each Foreman is required to receive at least 30 hours. As part of our commitment to support the continuous operations of our customers’ critical systems, we are dedicated to providing 24/7 service. An emergency call to Cabling Systems, no matter the day or time, will result in a response team that will immediately address the issue and minimize downtime. Cabling Systems, Inc is committed to providing a top-quality solution that meets the unique requirements of our customer. Total customer satisfaction is our number one priority, guaranteeing support before, during, and after the project. Our mission is to be the most trusted name in the industry, delivering quality service, building lasting relationships, and holding ourselves accountable. We aspire to create a future that reflects a passion for what we do.